A TRIO OF LOVELY, LYRICAL LADIES WHOSE CAREER DID NOT END WITH ONE HIT SONG! The radio DJs would have you believe that The Paris Sisters were a one-hit wonder in the annals of girl-group music. But these gorgeous girls and their equally gorgeous sound lasted beyond their connection to Phil Spector. Of course, the girls' trademark style--lead singer Priscilla's sultry, breathy vocals backed by her sisters Sherell and Albeth, sounding equally sensual--was embraced by the masterful Spector who found it a perfect blend to the "Wall Of Sound" he created for his other acts (The Ronettes, The Crystals, Darlene Love and others), but as their career went on, their unique singing style stayed with them after they and Phil parted ways, when they left his label and signed on with a few more. But the style they adopted in the earliest years of their singing career was a far cry from what it would evolve into later. In 1954 they were among the youngest recording artists to sign on with the Decca label, which released their first succession of singles. On these early efforts, such as "Ooh La-La", "Huckleberry Pie" and "Daughter, Daughter", The Paris Sisters sounded more like The Andrews Sisters. Small wonder, for it was The Andrews Sisters who discovered them. Patty, Maxine and Laverne Andrews were still popular with postwar audiences as they were in their 1940s heyday, and the Paris Sisters' mother took her daughters many times to see them perform, and the girls mouthed the words to their songs while sitting in the audience. This attracted the Andrews' attention, and at the end of the show their mother took her little girls backstage to meet them. Patty asked them if they'd like to sing for the audience, and they went out on stage to perform "Rum And Coca-Cola", the Andrews' own hit song. From here they went on to record a song for Decca with Gary Crosby, perform on radio at at USO shows, and took their act to Vegas, where they eventually got the chance to sing with Frank Sinatra who was headlining at the Dunes. Later, they met another recording legend--Elvis Presley--who invited them to his show and sang one song directly to Priscilla. They also managed to score a guest appearance on Red Skelton's TV series in which they sang Andrews-style. Trade advertisement from the girls' days with Phil Spector and Gregmark. Several years passed, then came a significant turning point in the Paris Sisters' career. Lester Sill, a man on the lookout for new and promising recording acts, met the girls and introduced them to his protege, Phil Spector, who asked them to stay at his apartment while he moved into a nearby hotel. Phil had performed as a member of The Teddy Bears in 1958 and wrote their signature hit, "To Know Him Is To Love Him". He envisioned the girls as another Teddy Bears and had them record what would be their first release under his Gregmark label, "Be My Boy" It was perhaps this song that introduced audiences to the new, sensuous, breathy singing style with which The Paris Sisters would come to be associated with. The style was put to use again for their second Gregmark release in 1961, "I Love How You Love Me", which rocketed them to stardom and became the hit most associated with the group. At Don Kirshner's offices in New York, Phil listened to an early demo of the song (which has resurfaced as a track on a non-U.S. CD compilation reissue), sensed a major hit, and went to work with the girls on a remake in which the trademark Wall Of Sound was used to great extent, with eight violins backing them, and a record amount of remixing and overdubbing for the time. It was a smash, and many Gregmark releases soon followed, each one featuring Priscilla's lush, breathy lead vocals. The girls' staged performance of one such number, "What Am I To Do? ", was included in a big-screen feature film released in England as "It's Trad , Dad" and in the U.S. as "Ring-A-Ding Rhythm". Oddly though, one song they cut during this period strayed from this style and in fact was originally released as the "B" side to "I Love How You Love Me". Titled "All Through The Night", it fit neither category of the type of music they'd been associated with throughout their career. This one had more of a rockabilly flavor to it, and would be unrecognizable as a Paris Sisters recording to those unaware it bore their name upon hearing it for the first time. But despite this song's obvious departure from the girls' trademark style, it's great on its own merits, or at least I think so. 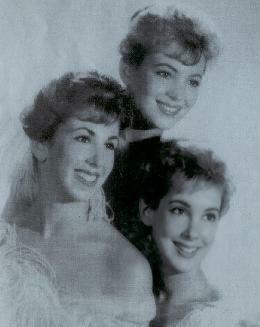 The Paris Sisters in an early-1960s photo. Clockwise from top: lead singer Priscilla, Albeth and Sherell. "I Love How You Love Me" was followed by another release that would be a hit for the group, "He Knows I Love Him Too Much". 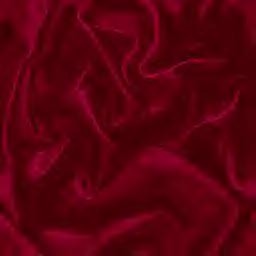 An album to be released on Gregmark was also in the works, but it never materialized. Sadly, the master tapes to be used in its production had been thrown out by an assistant of Lester Sill's and were never recovered. Sill and Spector were reportedly going through a rough period and the Paris Sisters were caught in the middle. Soon thereafter, Phil and Lester started a new record label--Philles--and concentrated their efforts on The Ronettes, The Crystals and other artists to create innovative musical masterpieces to be released on this label. Certainly one of the most ambitious projects was the now-legendary "A Christmas Gift For You From Phil Spector" featuring his Wagnerian composition "Christmas (Baby Please Come Home)", written for Darlene Love. But the Paris Sisters found themselves locked out of the Spector-Sill hit factory with little or no money from royalties (Sill told the girls that Phil's obsession with details and perfection in his recordings had racked up enormous expenses which ate up their royalty payments and could not be recouped due to the scuttling of their album project), and had to turn elsewhere in order to continue their career as recording artists. They recorded one single for the MGM label, a remake of Bobby Darin's hit "Dream Lover" which employed the sultry styling perfected by Spector. On the flip side was "Lonely Girl", which bore no relation to the Four Seasons'(?) hit or to a different song with the same title which would later be recorded by another MGM girl group, The Royalettes. After that, the Paris Sisters signed on with Mercury Records and cut two more singles, one of which was the excellent "Always Waiting", another fine example of the girls' trademark style. But they didn't last long at Mercury either, and they soon found themselves in search of another record label. Their search ended when Warner Brothers signed them up to do releases for their subsidiary label Reprise, which was owned by Frank Sinatra whom the girls had met and performed with after their singing career got underway. It was Reprise that would afford Priscilla, Albeth and Sherell the opportunity to cut an album that would consist of some of their finest work ever, and all without any assistance from Phil Spector.